[Apr. 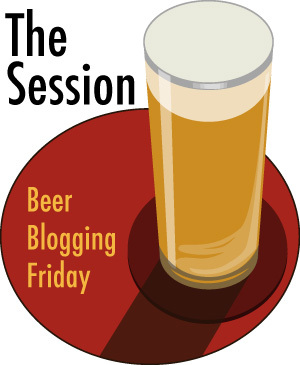 6, 2018]–The Session is a monthly effort where beer writers around the interwebs respond to a topic question each first Friday. This is the 134th installment, so it’s been going on for quite a while. This month the estimable Tom Cizauskas asked us to ponder the essence of Beer Gardens—what constitutes one, where are they, or what one should be? After all the results are in Tom will presumably peruse them and come up with some kind of perceptive summary at his Yours for Good Fermentables site. It’s an interesting day in early April to ponder the question of what makes for a good beer garden. I was just informed in an email by what passes for my local, the Whetstone Station Restaurant & Brewery, that its outdoor rooftop Bier Garten would be opening in two weeks time. Meanwhile, it’s snowing to beat the band. 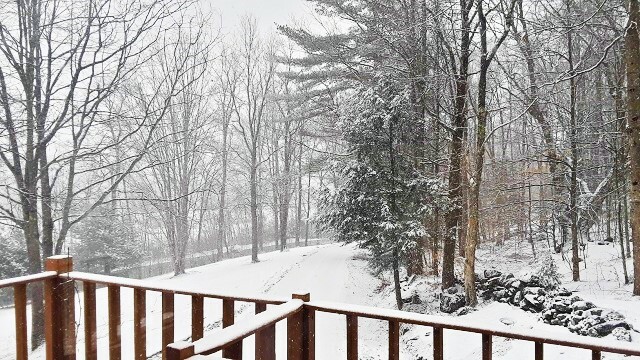 Well, this is Vermont. 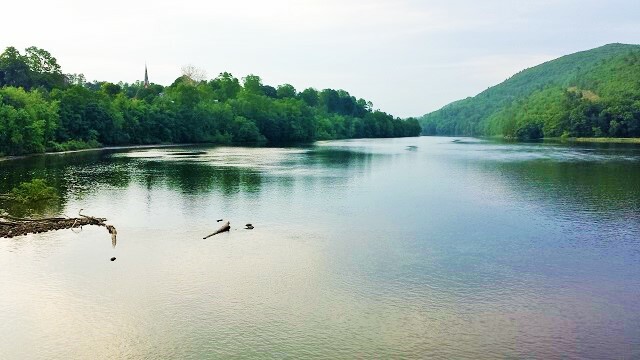 When the Bier Garten does open it may still not quite be time for tee shirts and shorts, but it will be outside in the fresh air playing over the Connecticut River in view of Mount Wantastiquet, the nearby bridge connecting Vermont and New Hampshire. View from the Whetstone Station Bier Garten in better weather. Any trees or greenery, hence, are somewhat distant. There are individual as well as group tables. I’m presuming that bringing in food not served by the restaurant would be looked on askance, though I haven’t put this to test. Hence, if one wants to be Teutonically defining about these things, this might technically be a Wirtsgarten as opposed to a Biergarten (where carting in one’s own food is not untypical). But who wants to do that? It’s all al fresco and unquestionably Gemütlichkeit, which I take to be a word that can’t be literally translated from the German, but which connotes comfort, good cheer, friendly companionship. Not unlike the Irish craic. Both also seem to connote, to me at any rate, a mug of beer in one’s hand. That will almost assuredly be the case at Whetstone, which serves four of its own brews at all times, along with a killer list of guests beers from all over the world, if favoring those from Vermont and New England. On the right spring or summer day or evening, with a cooling breeze, the proper companionship, perhaps a band at work, but most certainly with a good fermentable in hand, it doesn’t get much more Gemütlichkeit. Besides, it says Bier Garten right on the menu. Good enough for me.